View the actual footage from CNN, ABC, CBS, FOX and others. Shocking - Thought provoking - Raises serious questions about the government's honesty in conducting the 9-11 investigation"
"Everyone in America should see this video." "This video makes Fahrenheit 911 look like child's play. Michael Moore could have taken some lessons from this video." "Absolutely awesome. This is the one September 11 video that everyone should see." 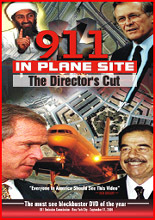 "This is a MUST see film, especially for show and tell"
"Dave vonKleist weaves several key moments of live, un-retouched film footage regarding the events of Sept. 11 into a crystal clear picture of official deception." CuttingEdge vowed not to carry any more 9/11 investigative videos or books unless they broke significant new ground; this video does just that. "The 911 Film Michael Moore Should Have Made." DVD of the Week: "This compilation shows us all the footage we've seen a million times, it also shows us the footage that mysteriously, or not so mysteriously, never got shown again - all the immediate, "on the site" footage that contradicts the story we've all grown to know and love." The events of September 11, 2001 are undeniably and inarguably the most significant acts of terrorism and aggression ever perpetrated against this country. It is indisputable that the three destructive occurrences at the World Trade Center's north tower, south tower and the Pentagon, were well-planned, orchestrated and coordinated events and are inescapably tied to one another. It is safe to say that the guilty parties would do anything to remain cloaked in secrecy and will create "rabbit trails" to divert attention away from significant information as they attempt to cover-up and obfuscate any data that would lead to their discovery. Additionally, those guilty would of course make every attempt to discredit or otherwise destroy the credibility of anyone who might raise revealing questions. To expose one of these entities involved in this deception would be a most significant and vital clue that could reveal the perpetrators of these events. Statement by Michael Ruppert' - I will name Richard Cheney as the prime suspect in the mass murders of 9/11 and will establish that, not only was he a planner in the attacks, but also that on the day of the attacks he was running a completely separate Command, Control and Communications system which was superceding any orders being issued by the NMCC [National Military Command Center], or the White House Situation Room. Click here for more information and to get a DVD of Michael Ruppert’s lecture. 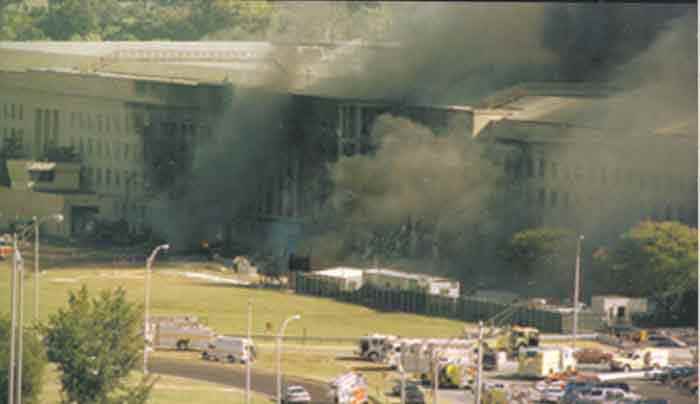 "Before The Collapse At The Pentagon"
"No Windows On Flight 175"
$1.75 shipping charge, regardless of quantity. $5.00 charge for priority mail (2-3 days, US only). All items shipped same day, or next business day depending on time of day. Find the plane that hit the Pentagon!